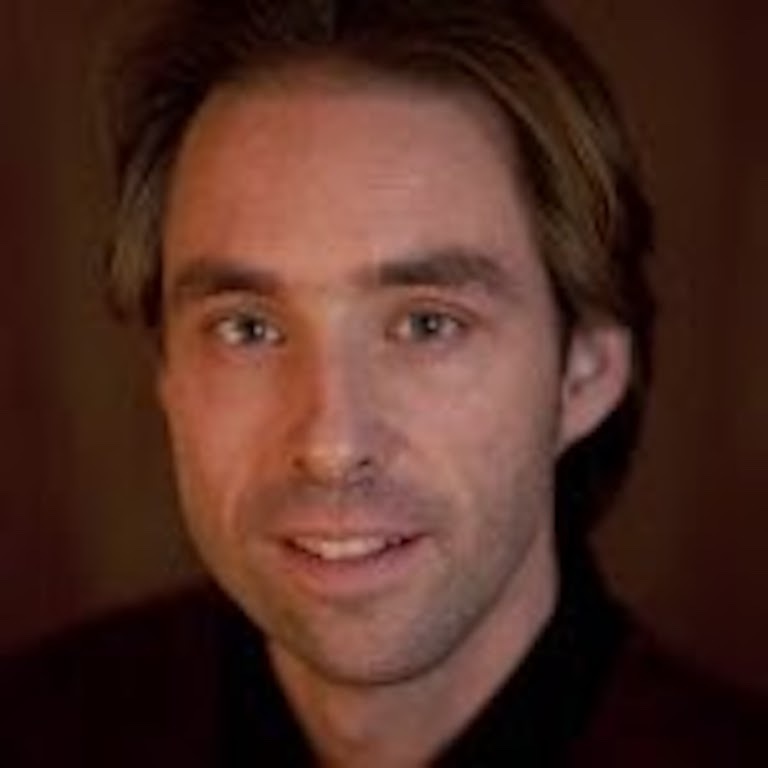 Bart van Melik developed and ran educational programs for youth, refugees and immigrants in the Netherlands before moving to New York City in 2008. 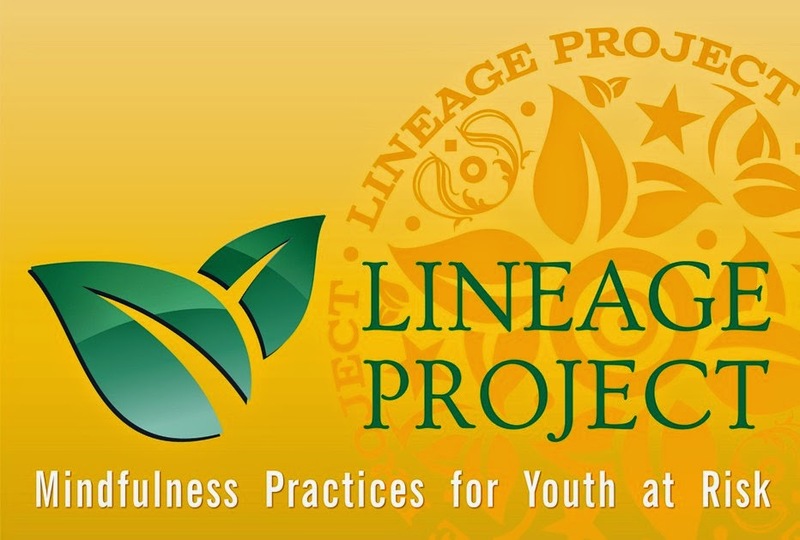 He is a Lead Teacher for the The Lineage Project, which shares yoga, meditation and awareness-based practices to empower youth to find alternatives to stress, violence and incarceration. What drew you to The Lineage Project? I’d been practicing for 10 or 11 years in Holland, then shortly after I moved to the U.S., I had the opportunity to go on a six-week retreat through the Insight Meditation Society (IMS). During the silent practice of sitting, an aspiration arose to offer what I was learning to a very specific population: at-risk youth. When I mentioned this to my teacher, Joseph Goldstein, he told me about The Lineage Project, and I volunteered for a year at a couple of juvenile detention centers. I learned a lot from that experience, especially because the kids can be very honest in their feedback! I also discovered that I have a passion for the work. I eventually became a Lead Teacher, and I work with 15 different communities every week. How do you get at-risk youth interested in mindfulness? What kind of training do Lineage teachers receive before working with this population? It’s also important to be able to teach from their own experience. All of our teachers must have a regular mindfulness practice of their own. What kinds of activities are done in a typical class? Every class has a different theme, but there are three core offerings: discussion, mindful movement, and meditation. So if the theme is “trust,” for example, the class would look something like this. Discussion: The class would begin with a group inquiry into the nature of trust. We might start by asking “Is there somebody in your life you trust 100%? Why or why not?” Each kid would have a chance to respond, and they’d listen to and learn from each other’s answers. Mindful Movement: We’d try some balancing poses to see if we trust our own balance and our own bodies. This gives the kids a visceral, physical connection with the idea of trust. Meditation: We’d focus on our breath. Are they aware of their breath? Do they trust that awareness? Since trust is an important issue for these kids, we give them the opportunity to experience it on an intellectual level, through the body, and through the mind. 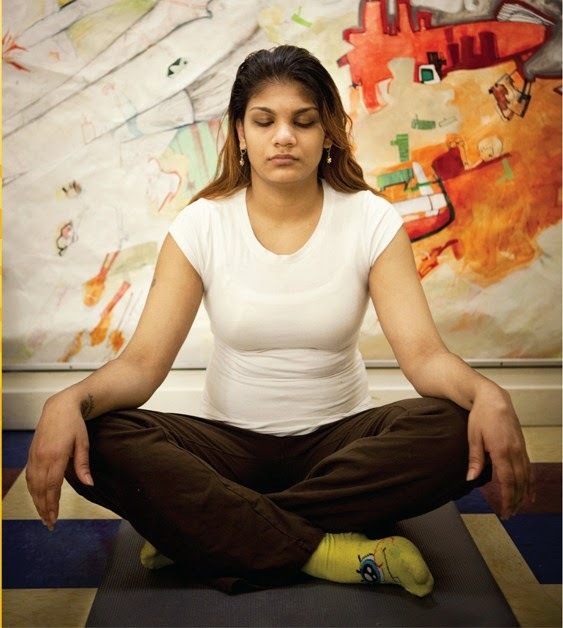 How can teachers ensure that students aren’t retraumatized during a mindfulness lesson? Physical practices can be very effective because the body is always in the present moment. But they can also be problematic. As I mentioned above, all our teachers are trained in working with trauma. An important part of that is to give an alternative instruction when focusing on the body. You take out the striving element; if something doesn’t feel good to the kids, you don’t push them too far. The teacher shows the kids how to skillfully direct the mind to something else so they can feel safe. It’s been encouraging to see the increasing interest in mindfulness in a variety of contexts around the world. Is it as popular in the Netherlands as it is here in the U.S.? There’s been the same development over there as in the U.S.: an explosion of interest in the past couple of years. There are a lot of people who offer MBSR (Mindfulness-Based Stress Reduction) to adults, and it’s starting to be introduced into more schools. You have to teach from the inside out, from the depths of your own experience. Most of the teaching can happen through sincerely modeling the practice, rather than through using a particular activity or technique. If the teacher is present, that’s the key to everything. You also have to teach from the outside in—you have to be aware of what’s going on in the vibe of the group. So “mindful teaching” is really co-created by the teacher and the class. Teaching also helps you in your own practice. In order to explain to a seven-year-old, or a seventeen-year-old, what mindfulness is, you have to be very clear about it yourself. Mindful teaching can be just as much a practice as sitting on the cushion. My preference is to meditate for 45 minutes every day, but that isn’t always realistic, especially with a 7-month-old baby! So in my daily practice, I may set a timer for as little as 5 or 10 minutes. I also take periodic times of renunciation, going on retreat for as long as six weeks. But again, that isn’t always possible. Even a one-day retreat can be very helpful. The important thing is to set time aside for contemplation. That’s highly beneficial to me in my teaching, and in meeting life as skillfully as possible, which is not always easy. But the great thing about mindfulness is that as soon as you notice that you’re not mindful, you’re doing it. Even being mindful of your own lack of mindfulness can be part of your practice.